One thing is consistent among students returning from study abroad in Shanghai: it defied their expectations. Shanghai, a city with the 2nd largest population (yes, the size of the city can handle its 24 million people, plus tourists!) is teeming with possibilities. It’s a dynamic metropolitan city with its own unique pulse, which makes it difficult to define unless you experience it for yourself. 1. It has food from all 23 provinces in China…and the rest of the world. 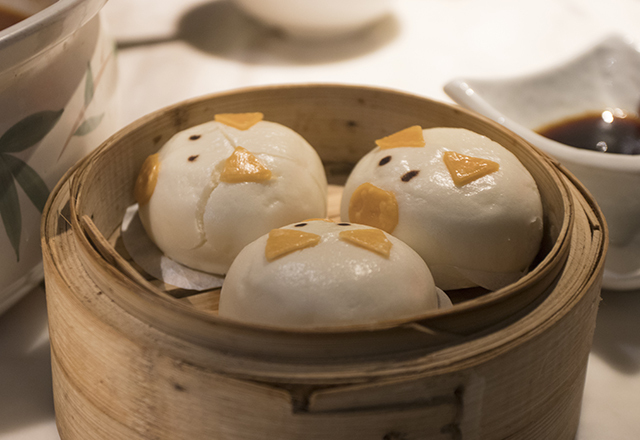 Let one thing be clear: Shanghai is a foodie’s paradise. Forget what you learned from Chinese food in the States, this city attracts a diverse selection of the best flavors from all over the country (and world!) for its hungry urbanites. There’s something for everyone, such as delicious xiǎolóngbāo (soup-filled dumplings), street noodles prepared before your eyes, or, for the more adventurous, the local’s favorite–stinky tofu. What’s more, you can experience this wide variety of food all in one place: the popular Yunnan Road. This street has specialty cuisine from all 23 provinces in China –in just one place! An added bonus? Our Center is right next door. Grabbing delicious snacks between classes has never been so easy, and delicious. To put it into perspective, Shanghai is about eight times larger than New York City, and has at least five million more people living within its city limits. A city this big means more of everything: more to do, more to see, more activities, events, and life everywhere you look. “I knew Shanghai was big, but I didn’t grasp how big until I was there,” says Ryan D.(IES Abroad Shanghai Engineering, Spring 2018 | University of Tulsa). A city that big can be overwhelming, but study abroad gives you the chance to pick up and move there knowing you’ll have a built-in cohort of fellow U.S. students, and you won’t need to worry about securing safe and central housing. Consider it handled! 3. It is a multicultural melting pot. 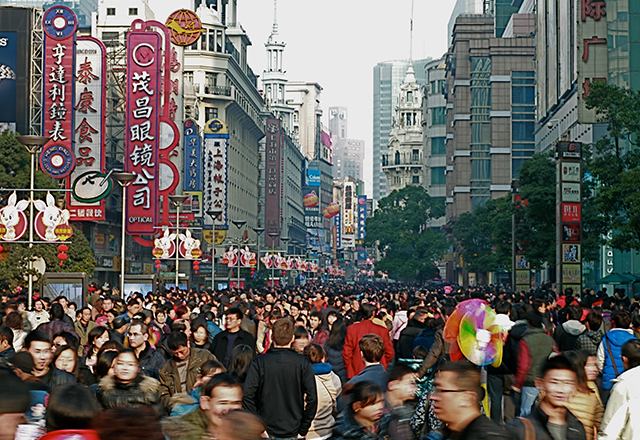 On par with New York City or London, modern Shanghai society has different cultures woven throughout. Surprised? 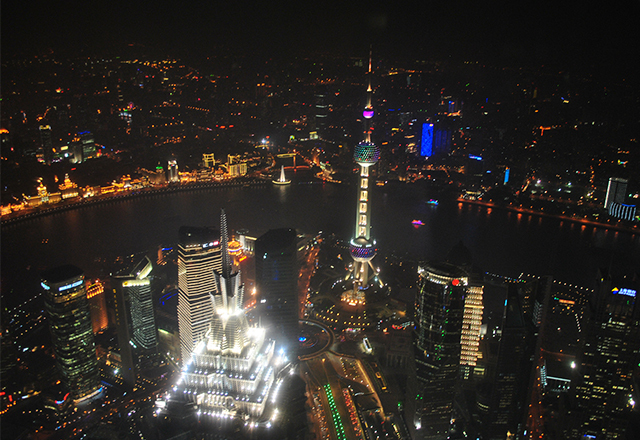 Shanghai has always been a meeting point of East and West, and continues to be a confluence point of cultures today. Throughout its history, Shanghai has been a major port for Europe and Asia. At points, it has been occupied by European and American concessions and also housed a community of Jewish refugees during the war. Paired with modern industry, this unique past set the stage for the global Shanghai you see today. Don’t let the cultural collage intimidate you, though! “If a student is ever craving a piece of home, there is ample opportunity to hop on the Metro and go to a more Western area of the city or find a cool burger joint for some American grub,” says Lexi K. (IES Abroad Shanghai Economy, Business and Society & Shanghai Summer - Internship, 2018 | Lafayette College). 4. It’s home to two of the top universities in China, where you can take courses in English with Chinese students. Many Chinese students start studying at a young age to get into a university in the prestigious C9 League, also known as China's Ivy League. Both of our partner universities, Fudan University and Shanghai Jiao Tong University – Joint Institute (SJTU-JI) both are in the C9 League and welcome IES Abroad students to take classes. Take the opportunity to experience stellar academics without a language barrier, and make local friends in the classroom while you’re at it. 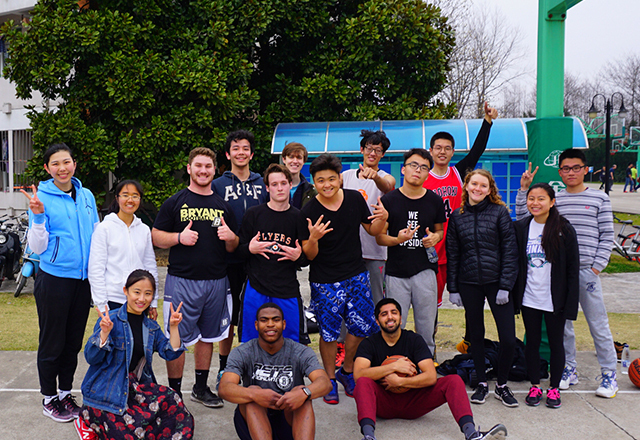 The Shanghai Center plans a handful of events to help you engage with local students, including an SJTU buddy program, basketball games, BBQ with language partners, KTV Karaoke nights, and more! 5. It has an amazing public transit system, but it’s also one of the best places to just truly wander. Our Ambassadors all agreed that their favorite activity was exploring the new city that was their home. Shanghai is well connected by metro, less than $1 USD will get you almost anywhere in the city in less than an hour! “When I got comfortable with the subway system, I used to pick a random stop to get off at and just check out the area,” says Kameelah S.T. (IES Abroad Shanghai Economy, Business & Society, Fall 2017 | Spelman College). “I found a ton of cool restaurants, shops, and parks that way!” Bike sharing is also wildly popular in Shanghai, giving you more ways to see new places, or change up your commute. Develop a relationship with your new home as you stumble upon new neighborhoods, restaurants, museums, and friendly Shanghai residents. Where are some of the best places to roam? 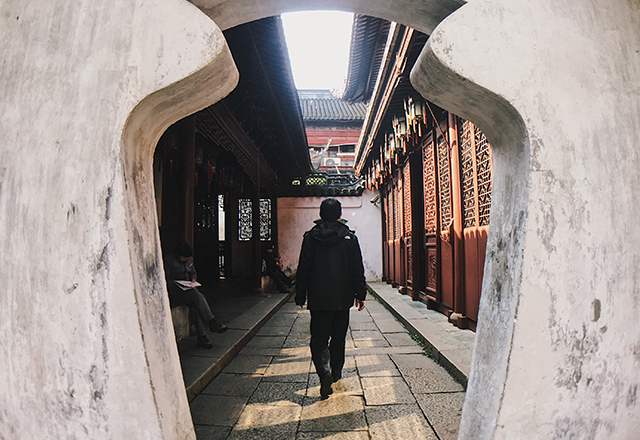 Our Ambassadors recommend Yu Gardens, Jing’an Temple, and, of course, the Bund as a start. Follow Will Kyaw, our Spring 2018 Correspondent, on his beautifully recorded journey through the Shanghai Metro as he and his friends explore the city in "Unexpectedly ended up in a Slaughterhouse- Shanghai VLOG." 6. It stands out on a résumé. In the past 20 years, China has positioned itself to be a major player in almost every industry. This means companies from all over the globe have some connection with China and are on the lookout for employees with experience in this market. 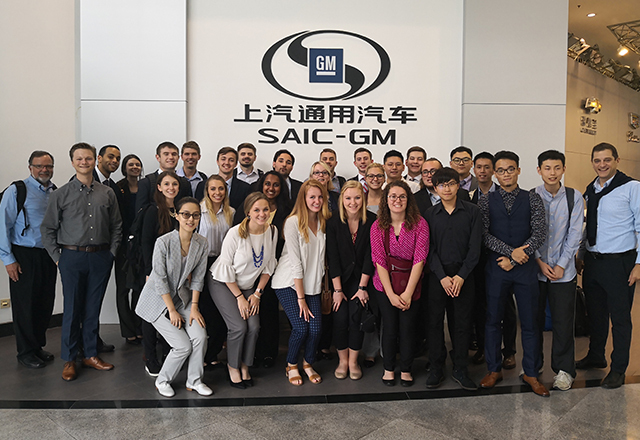 While abroad, practice your networking vocabulary during a language class, visit major factories and ports in the city as you study supply chain management, or even take on a full-time summer internship in Shanghai. Gaining internship experience, studying at a Chinese university, as well as practicing Mandarin in the commercial and financial capital of China are sure to make your résumé stand out from the rest. 7. It has everything a big city can offer, but is college-student-budget friendly. There’s a reason Shanghai was number one on our list of Best Places to Study Abroad for the Cost-Savvy Student. Not only are our study abroad programs in Shanghai some of the most affordable, but the cost of living compared to the United States always surprises students. 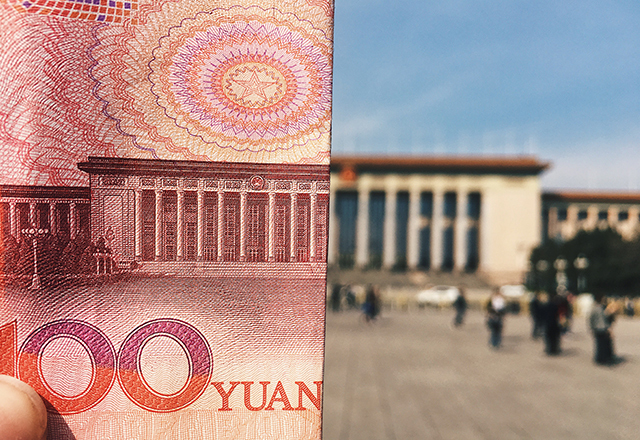 For example, a meal at a dining hall can cost only ~10 RMB ($1.48 USD)–compare that to your on-campus meal plan! You’ll also learn the art of bargaining – consider everything sold in a market or on the street open for a discussion. It may seem daunting at first, but once you get the hang striking a bargain in Shanghai you’ll feel like a local. What’s better than a souvenir? A souvenir you were able to haggle for in Mandarin (or maybe just non-verbally, which is also a skill)! 8. It’s more than just skyscrapers—be prepared for art and architecture that will blow your mind! Shanghai’s global influences and traditional Chinese culture collide to make this city a feast for the eyes. Eastern and Western, as well as old and new architecture coexist side by side. The beautiful Jing’an Temple is nestled directly amid the hustle and bustle of skyscrapers while an instagrammable art-deco slaughterhouse-turned-shopping center (1933 Slaughterhouse) stands by the old Jewish Ghetto. Walking around the Bund may remind you of Europe while ultra-modern skycrapers like the China Pearl Tower sparkle from just across the river. 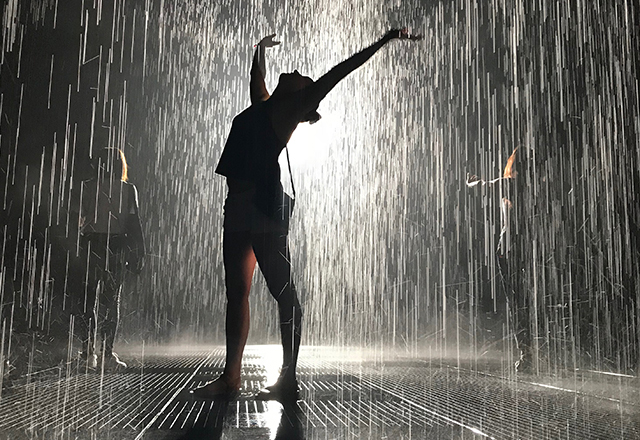 Shanghai is also home to a vibrant arts scene with museums big and small throughout, such as student favorites like the Shanghai Museum, Yuzmuseum’s famous Rain Room, and the Shanghai Urban Planning Museum. Read about Lexi stumbling upon the latter two in one of her blogs, “Wandering in Shanghai”. 9. It allows you to use your Chinese student visa as a ticket to explore one of the most biodiverse countries in the world. China is more diverse than you think, both in ethnic groups and biodiversity. Imagine taking in snow-capped mountains, beaches, terraced hills, deserts, and river-valleys…without even leaving the country. Shanghai is widely connected by trains and buses that are safe, easy, and fun to take as you zip around the country. To match the geographical variety, adventuring on weekend trips with your program or on your own with friends will expose you to people from the 56 distinct ethnic groups that make up China. 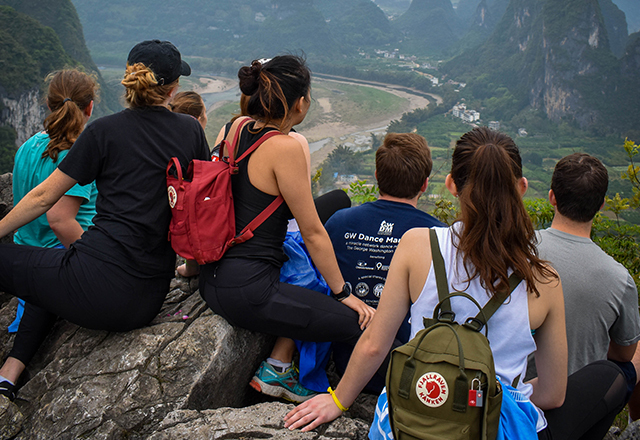 With so many people and places to see in China alone, your study abroad bucket need not involve crossing any borders; exploring China’s wide-ranging provinces will be challenge enough! 10. It is home to our local center staff, and they'll be there to help you make the most of Shanghai. If this list has you excited, or maybe just a little overwhelmed, here’s the cherry on top: since we’ve been in Shanghai for 10 years, we know a thing or two! You’ll get the necessary and relevant vocabulary right from orientation, followed by in-depth language classes that will allow you to comfortably maneuver life in your new city. “The language class teachers are often very willing to tailor the lessons to what you want to learn, so don’t be afraid to ask them,” Lucy S. (IES Abroad Shanghai Engineering - Spring 2017 | Lehigh University) advises. Course excursions and field trips will take you outside of the city’s bubble to spots you may have never heard of, such as nearby water towns like Hangzhou for canal rides, or on a breathtaking air rail journey in the mountains of Huangshan. You’ll take relevant courses with local instructors who are experts in their fields, and who don’t mind taking time to chat after class or recommend a new restaurant. As the semester rolls by, you’ll pass through Shanghai each day knowing more and more about what makes this city tick, growing from your classes, and what you’ve experienced yourself! 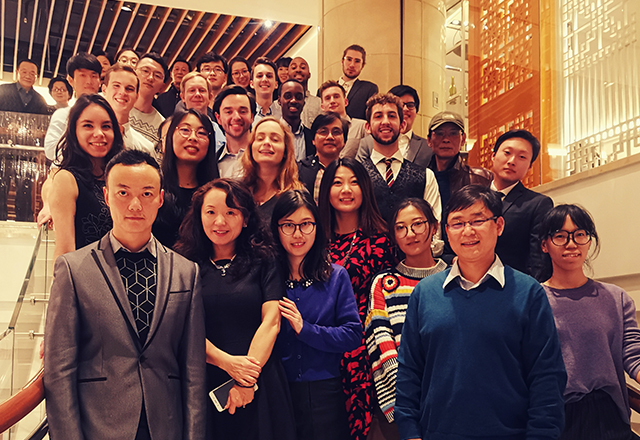 Learn more about our Shanghai programs and internships. You can also speak with an IES Abroad Ambassador about their experience in Shanghai, or another of our locations.